Why is it called Lion’s Head? 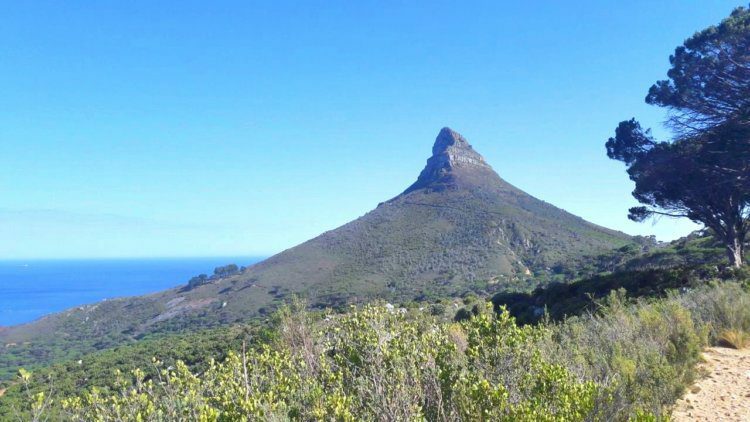 Although Lion’s Head is lower than Table Mountain and Devil’s Peak, it is officially a mountain because a mountain is defined as any peak that is 305m higher than the terrain around it. Lion’s Head stands proudly at 670m above sea level while Table Mountain is 1085m. How long does it take to climb Lion’s Head? This can range between 30 minutes and 2 hours, but the average, for most moderately fit people, is 1 hour. 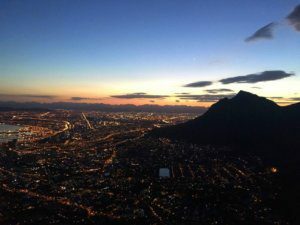 Capetonian runners love challenging themselves to running up to the peak, from the bar at the beginning of the jeep track to see what time they can achieve. The writer’s record is 35 minutes 15 seconds. The unofficial Cape Town record, according to the grapevine, is 19 minutes, which is an astonishing feat of fitness. At ELC, students report between 25 minutes (which is good going) and 90 minutes, with some breaks to take in the spectacular 360° views of Cape Town and the surrounding areas. In 2016, 200 000 people summited the peak which must surely be a record for the number of times a mountain has been climbed! What routes can you use on Lion’s Head? If you go up by the usual route, you drive up to Signal Hill and about half way up, there is some parking on the right (and a little coffee van and a SanParks hut). Stop there and on the left, there is a jeep track and this track spirals around the hill and up to the summit. The other route is to drive past the start of the jeep track, stop further up at this point and on your left is a small track which leads up the back of Lion’s Head – this way you miss the crowds on the way up. Just a little to the right is the Kramat of Mohammed Hassen Ghaibie. What is the craziest thing about Lion’s Head? 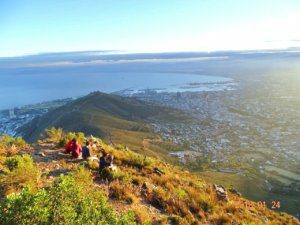 A UCT student ran up and down Lion’s Head in 27 minutes 17 seconds! Every few years, Red Bull organise this event, and runners have to run up and down 3 or 4 times in a very short space of time! Robert Rorich was an engineering student at UCT in 2017 when he won this challenging race. For more information about Lion’s Head, you could download this pamphlet.